Gustiamo imports and carries products that are made by small farmers and food makers in villages throughout Italy. They are our heroes. We want to protect these farmers and producers. 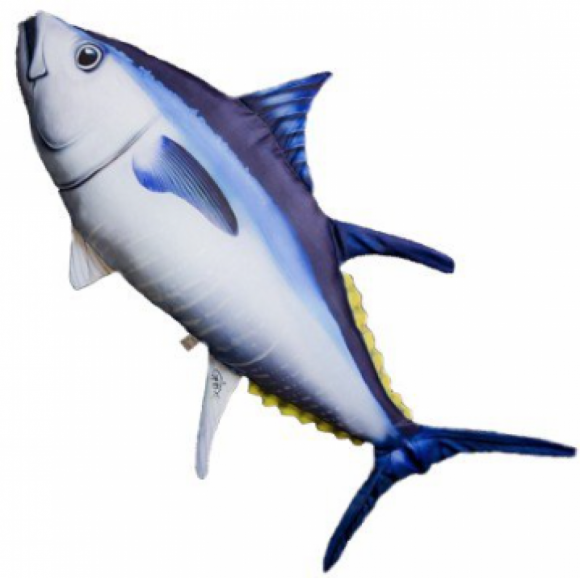 We think they, like the Bluefin Tuna, are in danger of extinction. If they do indeed become extinct, the whole beautiful Italian rural landscape will go. Forever. We are very very concerned about the huge damages industrial impostors and agribusinesses are making all over the world. We write about many of these issues in our blog, for example, our latest post of social concern is here. Talking specifically about Bluefin Tuna, what we know is that illegal and uncontrolled fishing has endangered it in the Pacific and Atlantic oceans where they are fished with very modern fleets, with radars and all kinds of sophisticated instruments. Yes, we agree. The wild and uncontrolled fishing should stop. Our Bluefin Tuna is made by a very small canning facility on the Sicilian west coast, in the town of Trapani. The company is located next to Trapani’s cemetery, it has been there for 60 years and it is owned by Vito Torre, whose father was a fisherman and used to sell his fish in the open market of Trapani. Vito Torre tells me that his Tuna are caught of the coast off Sicily, by small fishing boats that use methods that were passed along from the Arabs. Vito buys very few Tuna every year and he process them (steaming, salting, packing) only by hand. Vito’s production is extremely small. He produces just a few hundred cans of 300 gr (10 oz) every year. The way they catch the fish is very expensive. The production process is all done by hand. The final tins of Tuna are outrageously expensive. $50 for a 10 oz can. We have only a few cans in inventory. With this company, Vito is able to make a living and employ a couple of workers. Do we want Vito to close? Concerns about Bluefin Tuna abuse make a lot of sense. But we think they should be addressed to the bad people who make fortunes out of illegal fishing and industrial trade. Vito is nothing, less than nothing, compared to these business. He harms nobody. Do we want Vito to close? Grazie for the opportunity to discuss this important issue. Previous Post Bring Your Bottle to the Bronx, Olive Oil for NYC!